Steel Authority of India today reported 18% increase in net profit for the April-June quarter at Rs 530 crore on higher sales and realisation. The state-run steel maker had clocked Rs 451 crore net profit in the same quarter in the year-ago period, it said in a statement. The turnover of the company rose to Rs 12,515 crore, registering a growth of 10% as compared to year-ago period, it added. "Net sales realisation of the company rose to Rs 36,858 per tonne from Rs 35,777 a tonne," SAIL Chairman C S Verma said. 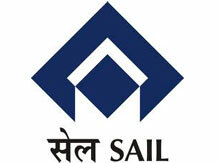 SAIL sold 2.76 million tonnes (MT) of steel during the quarter, against 2.62 MT during the same period last year.